Dave started his working life as a drainage engineer, which he was for over 5 years. 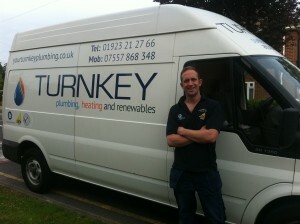 He gained many qualifications and worked on all aspects of the industry before switching to Plumbing and Heating in 2007. His previous trade though comes in useful when those tricky drainage issues need solving. Since turning his hand to plumbing Dave has gained many qualifications and is now a strong partner in our team, with strengths across the many services we provide.